California Insurance Commissioner Dave Jones on Wednesday issued a notice to property/casualty insurers doing business in California advising them that so-called “price optimization” in rate making is unfairly discriminatory and violates the law. Price optimization is the practice of setting rates based on an individual’s or class of individuals’ willingness to pay a higher premium relative to other individuals or classes. For example, if a price optimization analysis indicated that a consumer in one location was less likely to comparison shop than a consumer in another location, the insurer would charge the first consumer more for an identical policy—even if the two consumers had the exact same risk profile. 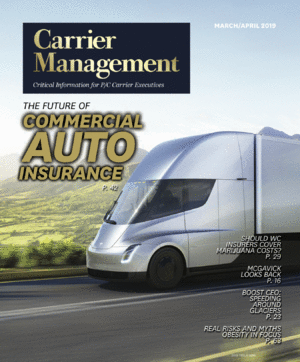 Experts from Fractal Analytics and the Consumer Federation of America’s J. Robert Hunter debated the practice in articles published in Carrier Management in 2013: Predictive Analytics: Bringing Price Elasticity Concepts to P/C Insurance and Price Optimization: A Dangerous Method? The California Department of Insurance sent the notice to more than 750 property/casualty insurers instructing them to cease using price optimization and adjust their rates in California. They have been given six months to adjust rates and submit new filings to the department.